The Wii U™ GamePad Accessory Set contains what you need to clean and protect your Wii U GamePad and keep it running great. The exclusive screen protector is a best-fit match for the Wii U GamePad screen, and protects against scratches and dirt. The extra large stylus provides a comfortable full-size option for touch screen gameplay. 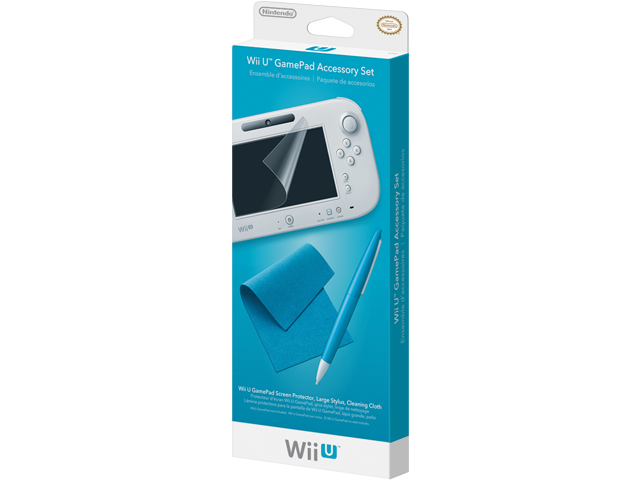 Set Includes 1 Wii U GamePad Screen Protector, 1 Large Stylus, and 1 Cleaning Cloth. *Wii U GamePad not included.